my husband grew up in the italian alps so hiking is in his blood. i love to hike but peter is absolutely mad for it! our first "date" over 20 years ago was a hike from the top of the tram station in palm springs to idyllwild with my aunt and cousin. i guess it's appropriate that we still enjoy a good hike. i call peter a billy goat; he's sure footed, quick, and strong. i, on the other hand, not so much. let's just say i'm more cautious and completely uninterested in falling. as i write this, peter and his friend are on a very long hike. like, eight hours long. it's called "cactus to clouds" because the climb is roughly 8,000 feet from start to finish. 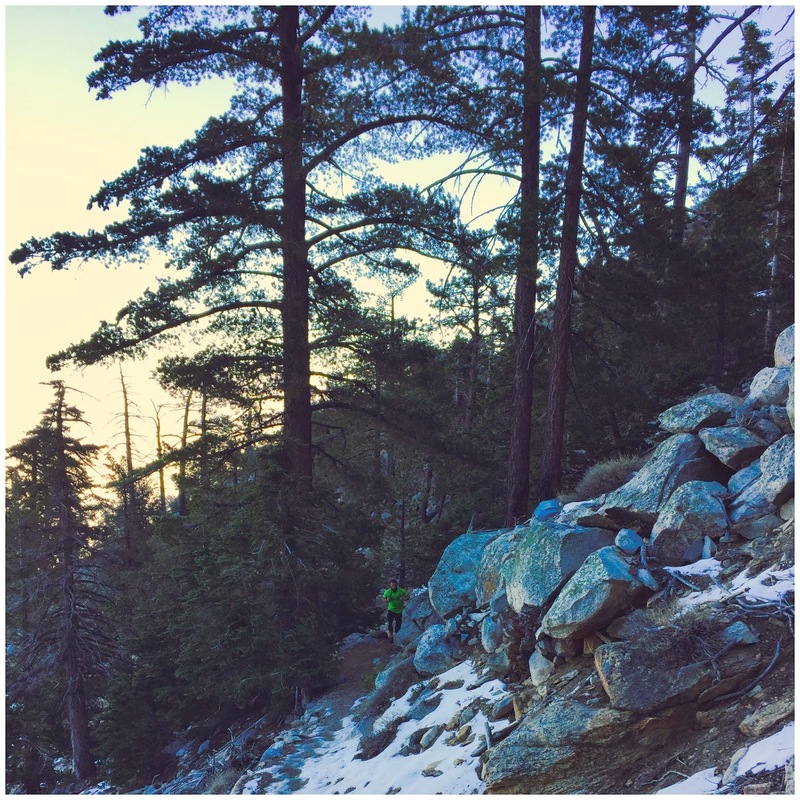 it's said to have one of the greatest elevation gains of any trail in the US. yikes! he's stopped a couple of times to update me on their progress, but i'm pretty sure his calls and texts are a way to assure me he's okay...which will in turn keep me from calling search and rescue. i can only imagine the sense of accomplishment he's going to feel once he's finished. now that he knows the trail, i'm going next time!